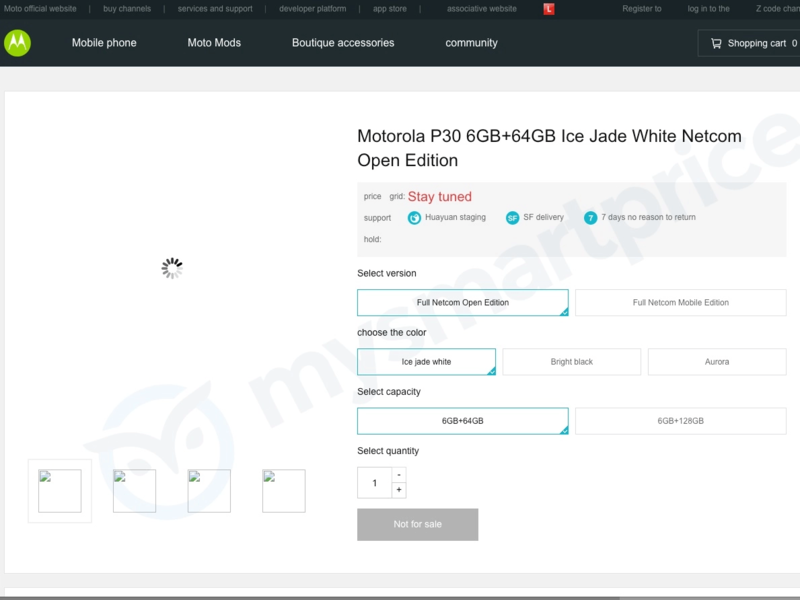 Motorola recently announced the Moto Z3 with 5G Moto Mod and an event is happening in China on August 15 where the company is expected to launch the Z3 as well as the Motorola One series phones. It looks like there is yet another series that Motorola will be announcing soon, probably at the same event. Three new smartphones were listed on the official Motorola China’s website, that hint at a new series of phones. 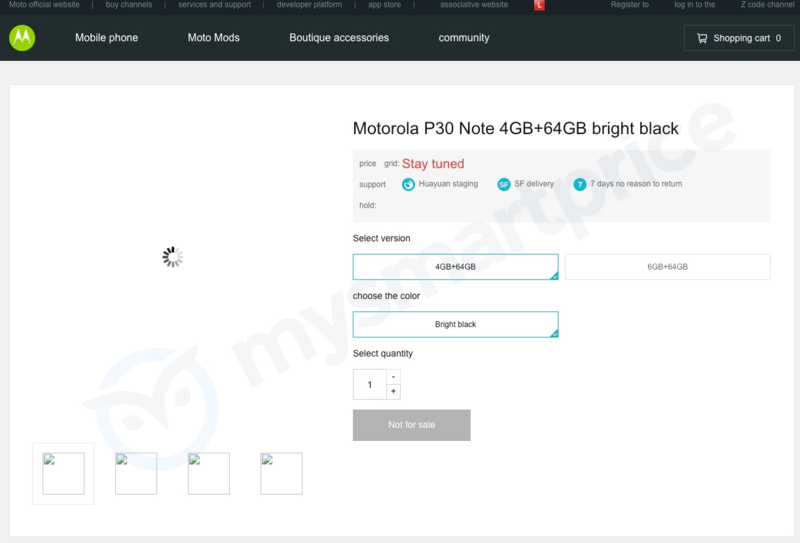 The Moto P30, P30 Play and P30 Note are the three new devices listed on the official site, and we expect them to launch at the August 15 event in China. The listings on the official site didn’t reveal the images, nor the specifications and all they revealed was the name and the memory configuration of each device. The Moto P30 is listed in two variants – 6GB RAM + 64GB ROM & 6GB RAM + 128GB ROM. The Moto P30 Play is listed with a single variant, i.e., 4GB RAM + 64GB storage. Looking at Motorola’s history of launching the ‘Play’ branded devices, the P30 Play is surely the least powerful among the three phones. Then we have the P30 Note, that has two variants – 4GB RAM + 64GB ROM and 6GB RAM + 64GB ROM. It looks like it will sit between the P30 Play and P30 regarding the specifications and the pricing. The color options for the P30 are mentioned as Ice Jade White, Bright Black and Aurora (Maybe a gradient color option like the Huawei and Honor devices). The P30 Play is listed with Bright Black and Ice Jade White, while the P30 Note with just the Bright Black color option. We have no information regarding the processor or other specifications yet. Also, Motorola hasn’t revealed the launch of any new smartphone series so you should better stay tuned for more information.